That’s right, January 2013 will forever be known as THE MONTH OF MOLOCH! In the lead up to the world premiere of Who Is Moloch? by Pamela Carralero we’ve got FOUR very exciting events that you’re all invited to, plus the show itself! First up is The StayAwake at Press Play House! 24 Hours. No Sleep. What do you want to see us do? 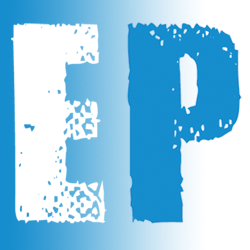 SEND YOUR CHALLENGES to events@encompassproductions.co.uk, SPONSOR us, tweet us @WhoIsMoloch #StayAwakeLive and come WATCH us in person (for free!) or online! 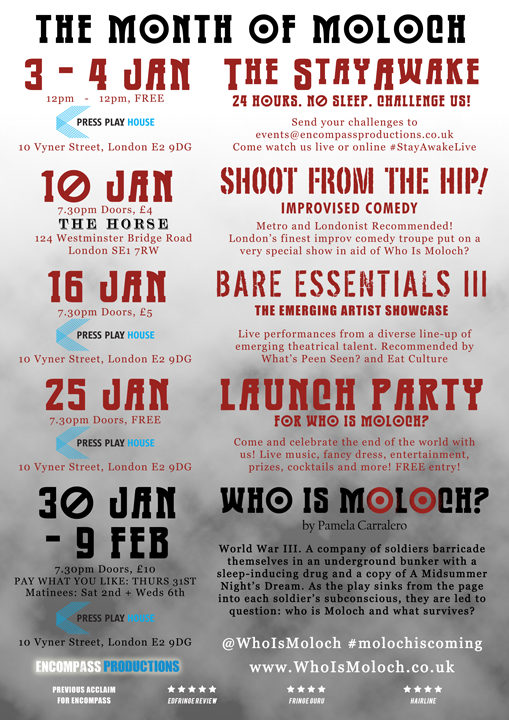 We hope you'll come and join us at some or even all of these great events in support of Who Is Moloch?, and then see the show itself! Moloch is coming...so make sure you do too! Join the Month of Moloch Facebook event and tell all your friends!